Meet Lia Cooley, owner of Found Aboveground, which can be found, naturally, above her mom’s cool shop, Found Underground. Aboveground is Downtown’s first clothing shop that caters to men and, in family tradition, the duds are high quality, affordable, and mas cool. Check it out. 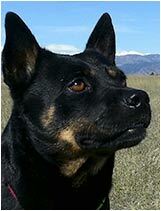 Meet Ruby Cooley-Hoehing, the Found Underground Hound. Uh-huh. Ruby is a 4 year old Shiba Inu mix. Since we did not hear back by deadline about what Ruby likes about Downtown, we’re going to make something up: Ruby loves the Crispy Calamari Salad at Empire. But then, who doesn’t. We’re looking forward to the bounty of our local farmers and all the goodies at the Farmer’s Market. Locally grown fruits and veggies, meats, wines, artisan breads, flavored oils, coffee, baked goods, natural body care and local music too. New hours are 9:00 am – 1:00 pm every Saturday. May is full of mischief and merriment. Maybe it’s the changing weather, the longer days, the blossoming gardens, or the anticipation of vacations, but May seems to bring people outside to greet the summer. Visit the restaurants and retailers for gifts and celebrations for Mother’s Day, Graduation, Prom, Cinco de Mayo and don’t forget American Craft Beer Week, (May 12 – 18). Bottoms Up Louisville! Make sure and catch all the great art exhibits and receptions at the galleries and local businesses. Here’s just a few of the activities going on this Friday from 6:00 – 9:00 pm. Featuring Los Cheesies Chiquitos, a local band that integrates both Latin and American style rhythms, and good food, drinks and fun! 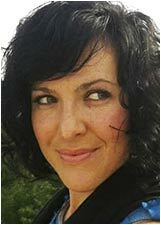 Features Krista Rogers of Lena James Jewelry and lots of gifts for Mom. Featuring four artists; Molly Davis, Michelle Soulé, Julia Dordoni, and Julie Myers and live jazz by Adam Revell. From 5:30 – 6:00 pm. Featuring the African photography of Heidi Wagner and the latest paintings of Anthony Grant. 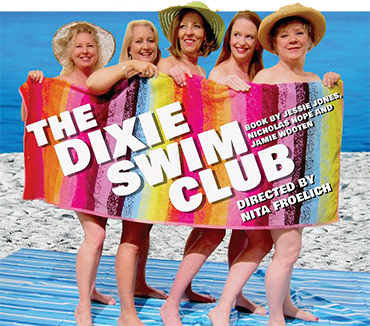 THE DIXIE SWIM CLUB is the story of five unforgettable women whose friendships began many years ago in college. Every year they set aside a long weekend to recharge those relationships at the same beach cottage on North Carolina’s Outer Banks. THE DIXIE SWIM CLUB focuses on four of those weekends and spans a period of thirty-three years. For more information on show times and to buy tickets visit https://www.cctlouisville.org/store/. The monthly Jazz House Concert continues in May featuring Julie Monley & MaryLynn Gillaspie on vocals, Victor Mestas on piano, Rob Dando on bass, Michael Schuller on guitar and Chris Lee on drums. Limited seating and the popularity of this event has the place packed so please reserve your seats. 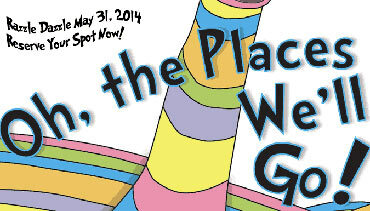 Join the pre-mom’s day celebration with recognized children’s author and illustrator, Elaine Pease. Bring the kids and enjoy cookies, coloring and more. And check out the special Mother’s Days gifts throughout the store. Join Boulder Open Space and Mountain Parks Naturalist Dave Sutherland for a revealing slide show and an insider’s look at what the 2013 September storm washed away, the ecosystems it changed, and how it wrote a new chapter in our area's geology. $5 suggested donation. 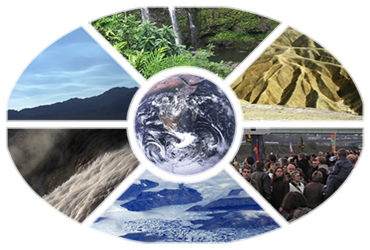 The synergy of science and culture is, in fact, a firm foundation upon which to build practical, sustainable changes in the world, including here in Boulder County. Presented by Martin Ogle, naturalist and earth scientist. Part of the Pathways to Success series and presented by Boulder Psychological Services, this informative session will help you and those you love to successfully move through the grief process and heal. Benjamin Tarasewicz is a gifted young man with high-functioning autism. His message of hope and perseverance is told by his mother Malva in her recently published book. Tickets are still available for this great event, featuring unique auction items and impressive entertainment. All proceeds support the Opportunity Fund, which distributes over $100,000 annually to more than 50 BVSD schools to help ensure that every student, no matter their economic situation, can fully participate in all enriching academic and extracurricular activities. For tickets or more information contact Grant Simon at Grant@ImpactOnEducation.org or call 303-524-3865.